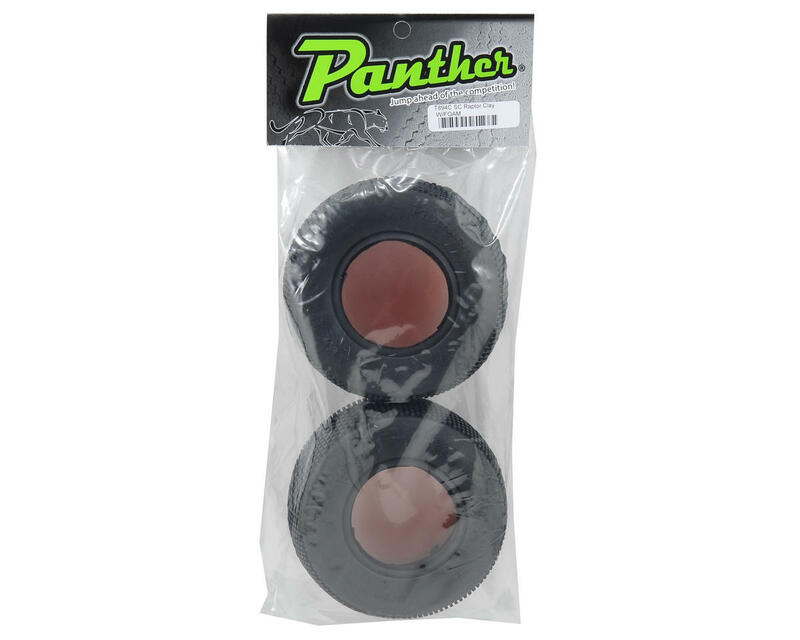 This is a pair of Panther Raptor Short Course Truck Tires. 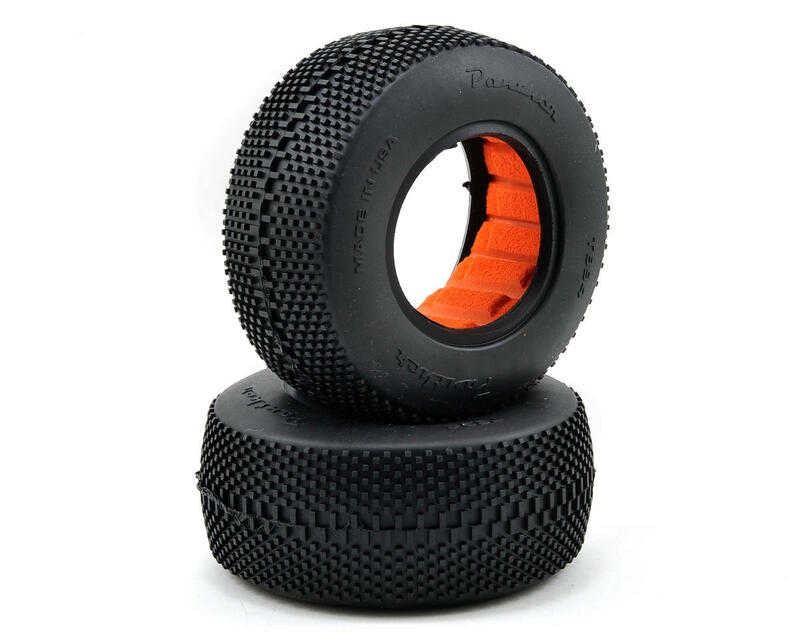 These tires fit on any standard 2.0/3.0 short course truck wheel, and work great for both 2wd and 4wd trucks. The Raptor is designed to be used on hard packed tracks. The drier the track, the harder the compound of tire you should use (ie: soft when moist, med-soft when dry), and "Clay" compound is ideal for colder weather and or hard packed tracks. Excellent tires and closed cell foams. Great grip on loose dusty dirty, hard packed tracks but also on carpet. It just ain't compatible with Pro-Line bedlocks because of the inner structure of the tire. DON'T WAS YOUR TIME OR GLUE ON ANY PANTHER TIRE.VERY POOR QUALITY THEY ARE!! !